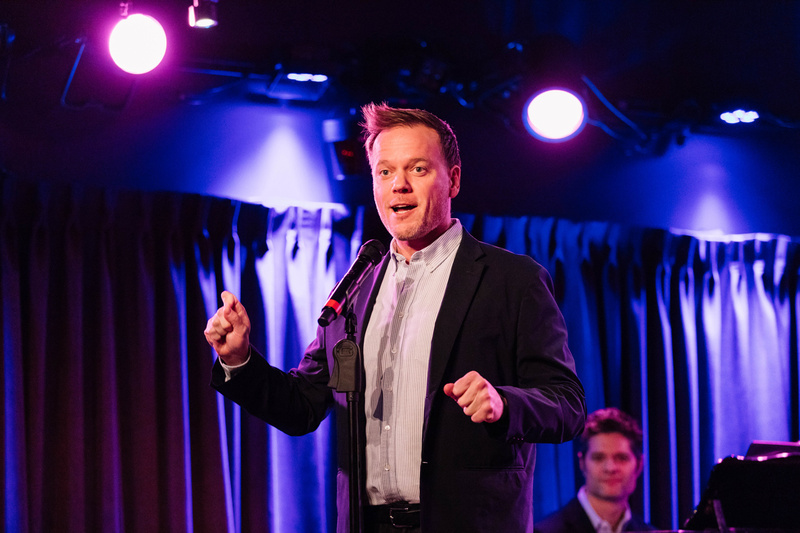 The cast and creative team of the the world premiere musical Superhero gave the press a sneak peek at the production on January 16 at Green Room 42. The musical, which centers on a fractured family, a mysterious stranger and an unexpected hero who just might save the day, features a book by Tony winner John Logan, a score by Tony winner Tom Kitt and direction by Tony nominee Jason Moore. The cast is led by Kate Baldwin as Charlotte, Bryce Pinkham as Jim, Kyle McArthur as Simon, Julia Abueva as Rachel, Salena Qureshi as Vee, Thom Sesma as Vic, Nathaniel Stampley as Dean Fulton and Jake Levy as Dwayne. The production is scheduled to begin previews at Second Stage Theater on January 31 ahead of opening night on February 28. 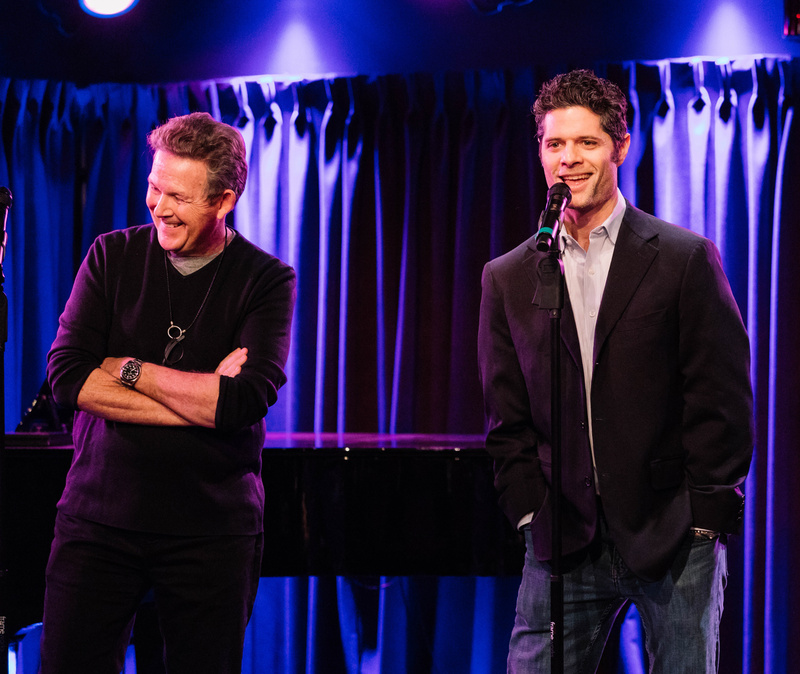 Superhero's scribe John Logan and songwriter Tom Kitt hit the stage. Superhero's director Jason Moore takes the mic. 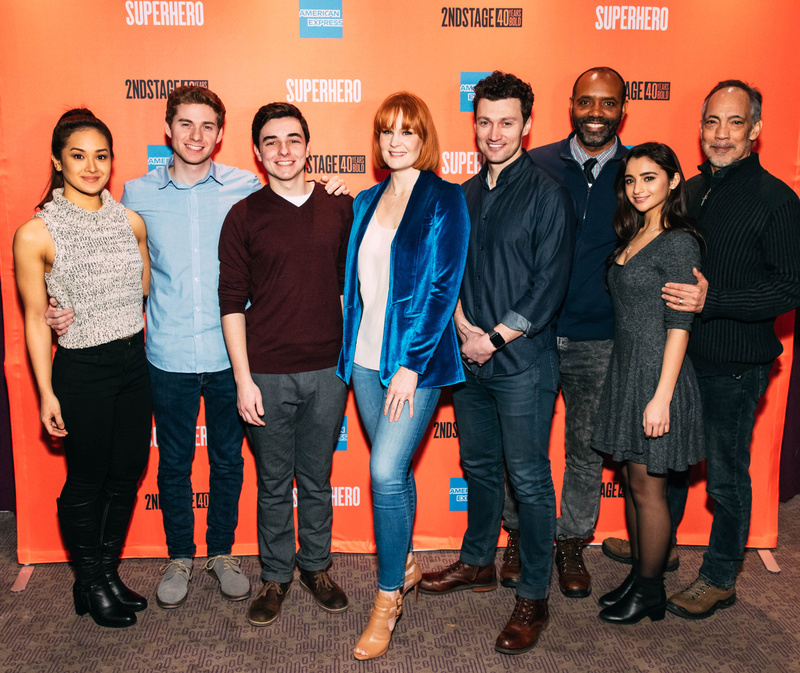 Superhero's Julia Abueva, Jake Levy, Kyle McArthur, Kate Baldwin, Bryce Pinkham Nathaniel Stampley, Salena Qureshi and Thom Sesma are ready for Superhero's Broadway bow. Performances begin on January 31 at Second Stage's Tony Kiser Theatre. Second Stage presents this new musical from John Logan and Tom Kitt.